Every maker has a story. Be a part of Adam Bentz Furniture's story by placing an order, leaving a review, and seeing your review appear here. This table is designed to showcase 3 dimensional art work, such as a sculpture or vase. 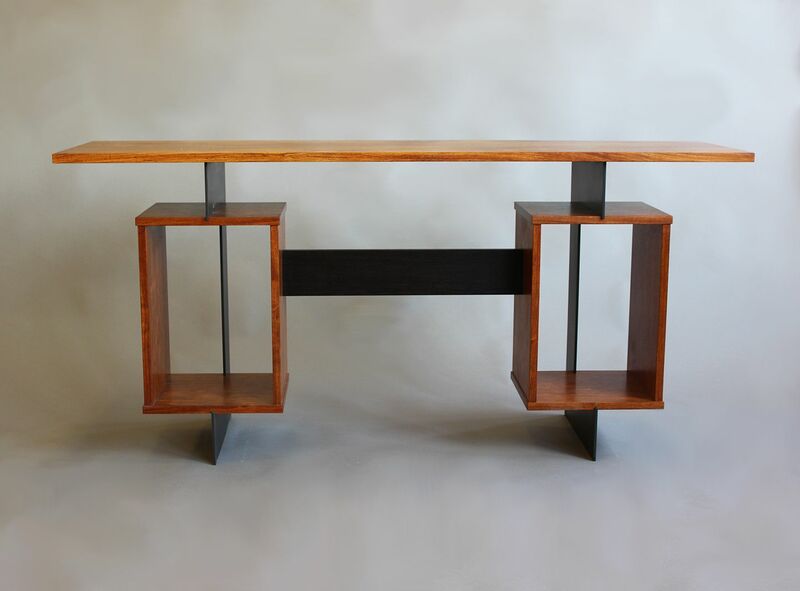 When placed in the two rectangular openings, the elegant steel and wood lines are enhanced, providing a striking frame for the artwork inside. 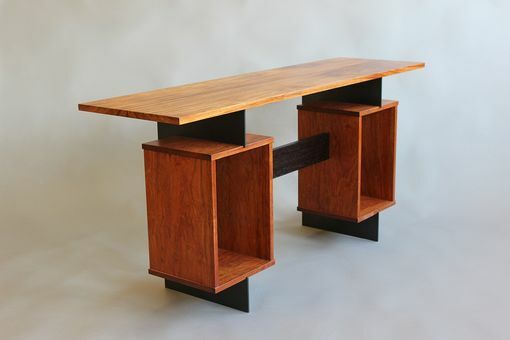 Shown in jatoba, wenge, and blackened steel. 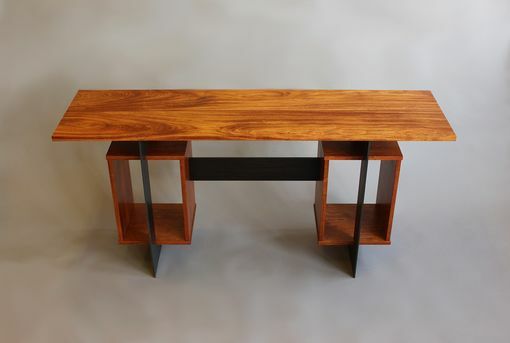 Wood species and metal can be customized. Price will reflect changes.